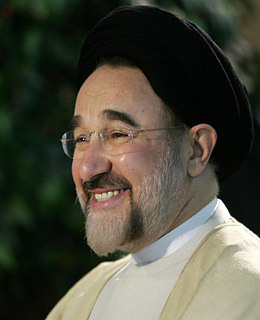 Khatami, a midrank cleric and veteran of the 1979 revolution, appeared to come from out of nowhere to win a stunning landslide victory in the 1997 presidential election. His two-term presidency marked the rise of Iran's reformist movement, but his Tehran Spring was brought to a chilling end when conservative elements loyal to the Supreme Leader cracked down on civil liberties and blocked reformist initiatives. Khatami's failure left his millions of supporters, many of them young people and women, disillusioned over the prospects of changing Iran. A religious intellectual who heads an institute promoting cultural dialogue, he remains a respected voice for reform, although one clinging to the fear that precipitous change could invite a violent backlash by religious hard-liners.